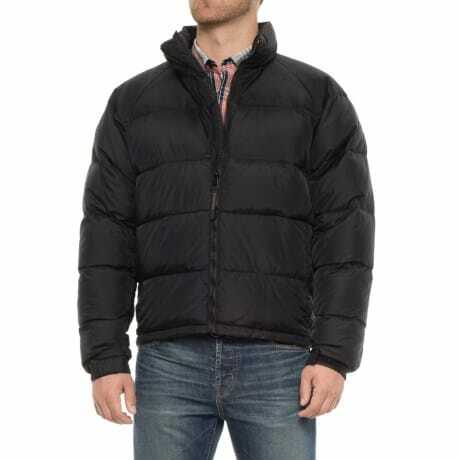 This Marmot Sweater II Down Jacket is regular $200, but right now snap it up for only $59.99! Marmot’s Sweater II down jacket boasts the classic puffer style with high-pile 700 fill power goose down insulation for serious warmth, as well as a quilt-stitched DWR shell. Don’t be fooled by its high profile, because this packable jacket folds down into the internal zip pocket when the weather warms up. Get Free Shipping with a $75 Order when you use the code EMY18 at checkout! Twirly skirts aren’t just for little girls! You won’t want to stop twirling in hese super fun Flared Midi Skirts with Pockets. These are a steal at $18.99 (reg. $55). These skirts would look fabulous with any top, from a fun graphic tee to a dressier blouse. You can add Converse for a casual look, and boots or heels for something more dressy. You’re going to want this skirt in every color! Looking for some cute Halloween-themed items for the kids? 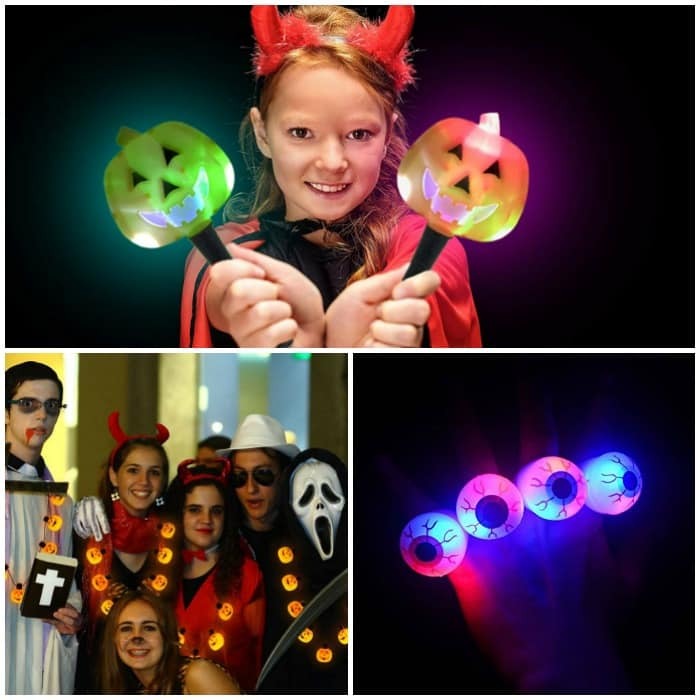 Light up your Halloween night with these fun items that light up! These are perfect for taking trick-or-treating or for the kids to play with at home! 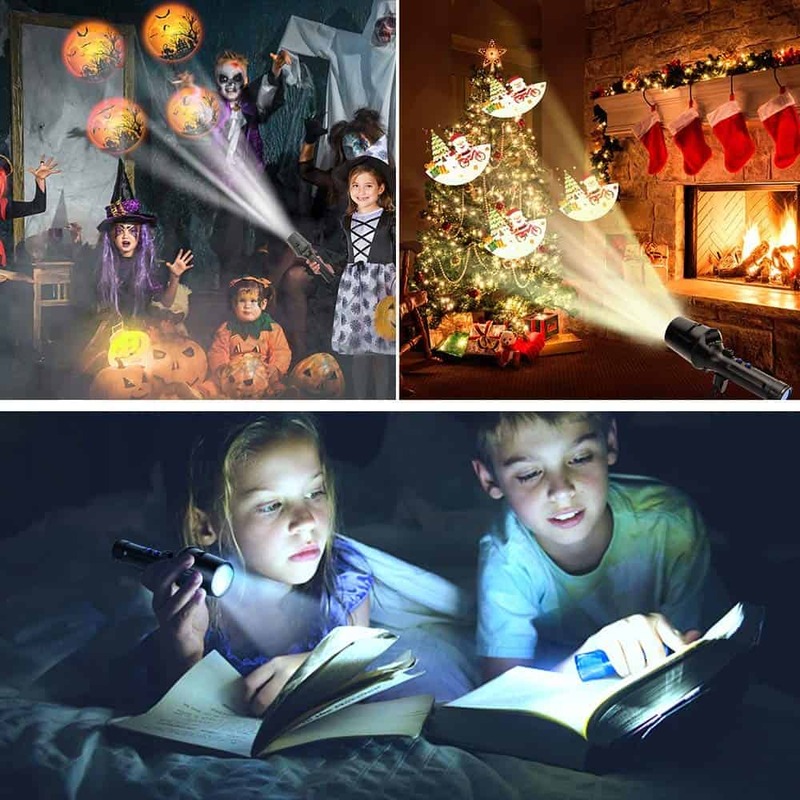 This Syslux Handheld Halloween Christmas Lights Projector is really neat because you can project lots of different images for the holidays. We have something similar to this for Christmas, and we love it. This is priced at $20.99. 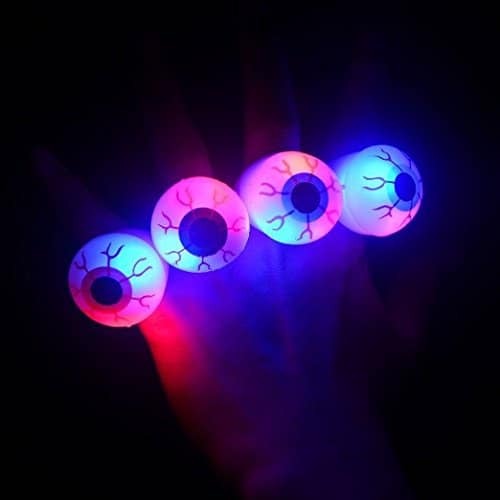 These Light Up Eyeball Rings are super cool and something kids will love! Get a 12 pack of these rings for $12.99. How neat are these Jack-o’-Lantern Halloween Light Up Ncklaces?? These mae great party favors and is priced at $6.99 for two necklaces. Glow sticks are something that all kids love no matter how old they are. 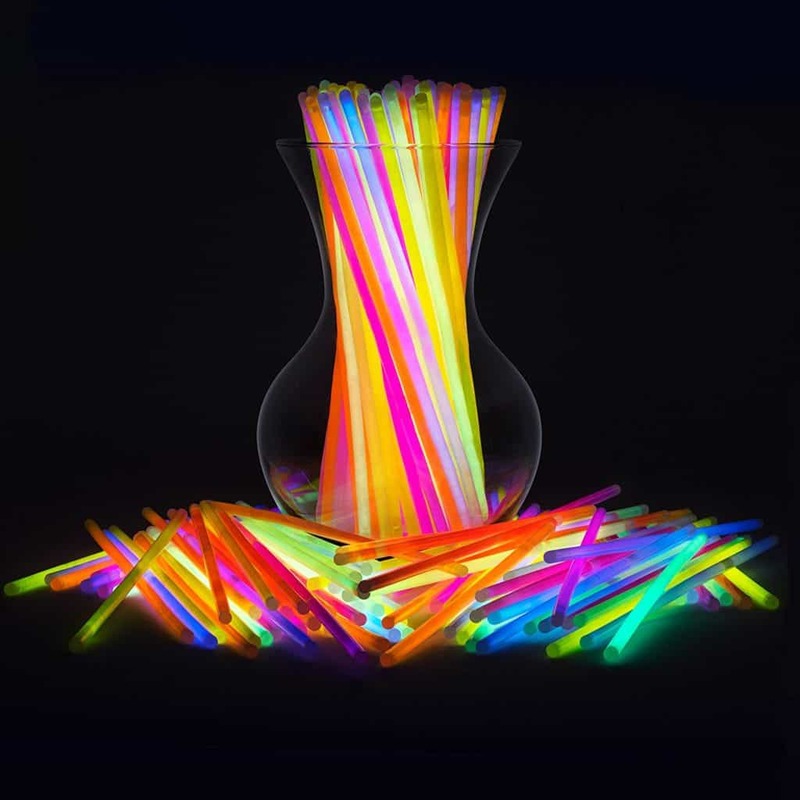 Get a pack of 300 glow sticks for just $19.99. 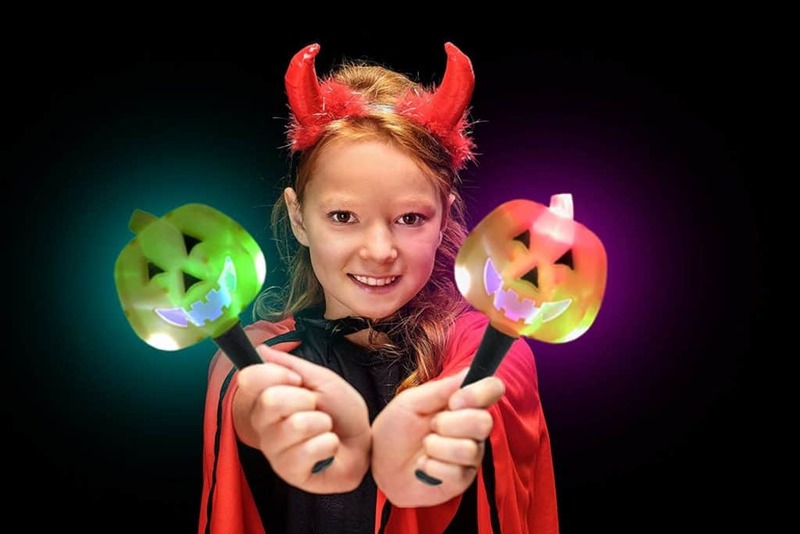 I think these Jack-o’-Lantern LED Light Up Wands are super fun. You can get four of these wands for $13.99 when you clip the $1 off coupon located beow the price. 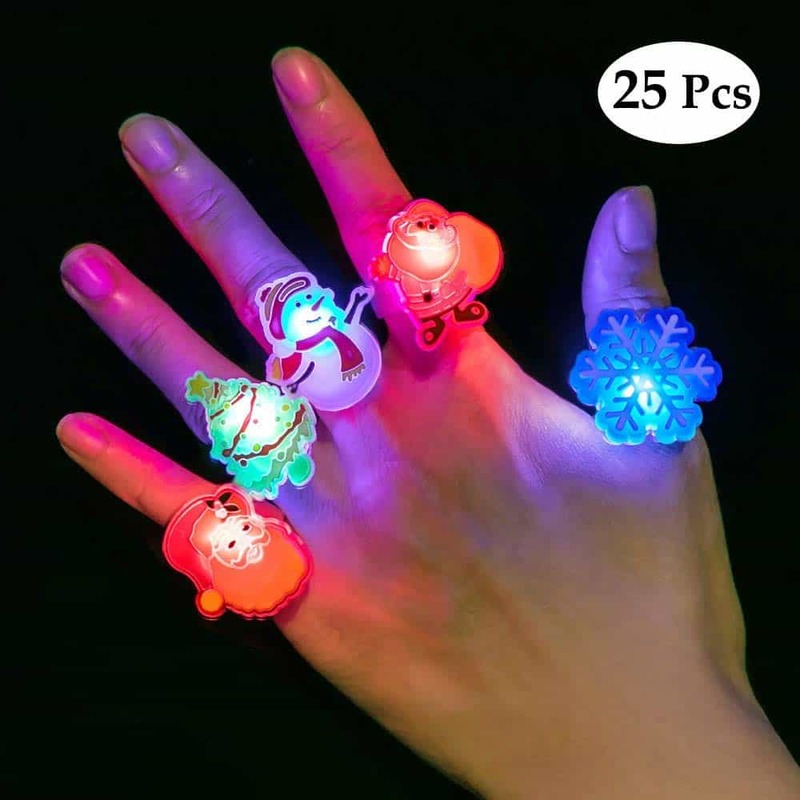 And, kids will get a kick out of these Christmas Light Up Rings. This pack of 25 rings is only $16.99. Grab this 8 ft. Inflatable Pumpkin Patch from HomeDepot.com while it’s marked down to $24.75! It’s regular $49.49! This 8 ft. inflatable pumpkin patch by Occasions sets up in minutes and will be the perfect decoration for your yard this Halloween. 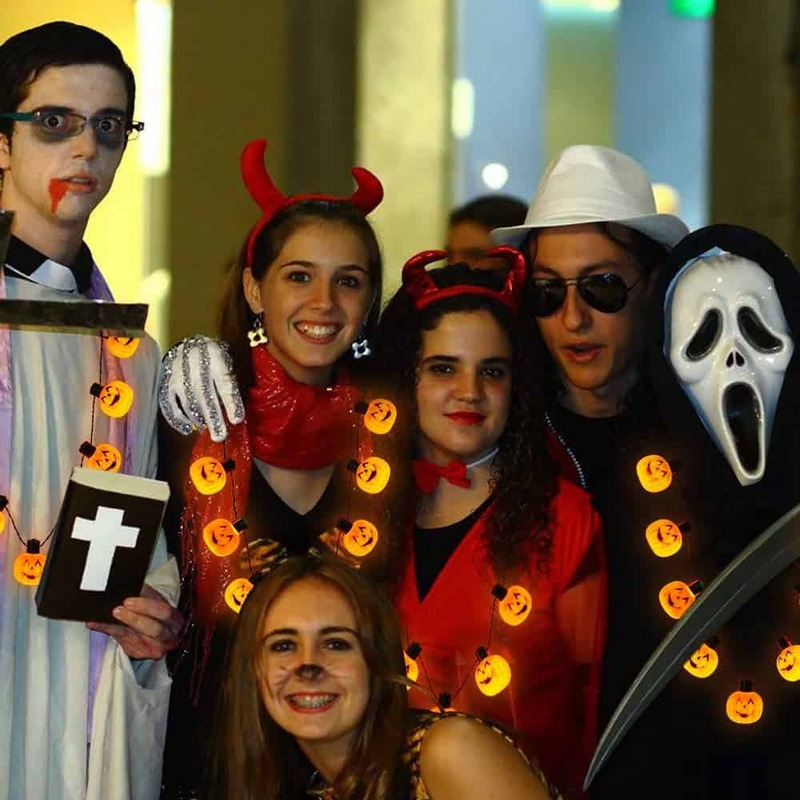 It includes seven different-sized lighted pumpkins with cute faces. It’s a quick and easy way to make sure your yard stands out this season. It ships for free, but you can select in store pick up to make sure you get in time for Halloween! Keep warm while looking fabulous with this super cute Striped Cardigan. Add this to your closet for just $28.99 (reg. $49). This relaxed open cardigan is all abot street savvy style, and cool sleek colors. Pair it with your favorite Converse or boots, jeans and a graphic tee for a fun casual look. This cardigan is a fun way to add bright colors to dreary winter days, and it’s one you’ll reach for over and over!